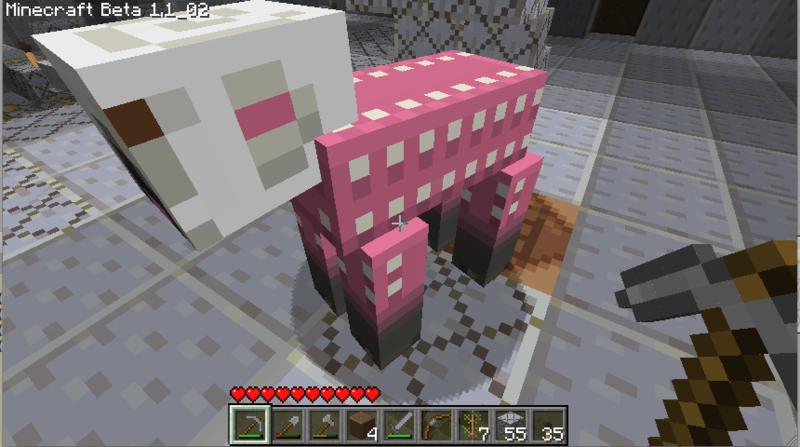 Sheep come as two textures: mob/sheep.png supplies slabs used for head, legs, and body of a shorn sheep; mob/sheep_fur.png supplies slightly larger blocks that are merged with the shorn sheep to make a woolly sheep. Artistically this was a little tricky; the whole point of the pack is to be diagrammatic rather than realistic, but this is a little harder to square with three-dimensional animals. 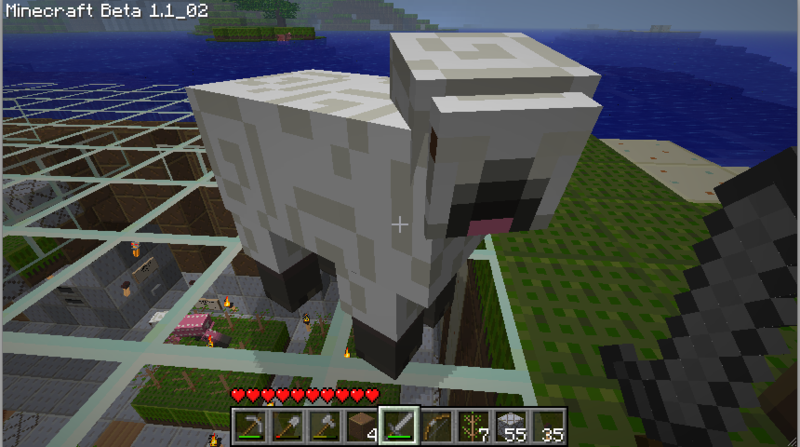 The main difference from the default sheep is I have moved the eyes to the side of the head and given the wool curls to match the wool-block texture. The new biome system assigns grass a different colour depending on which biome you are in. the texture pack now has a grey grass texture, which is combined with the grass colour to make the texture actually used for grass. This means the colour of grass should vary now. The actual colours it comes up with could probably do with some tweaking, but it is a start. To install them, click on Mods and Textures in the Minecraft main menu, use it to visit the textures directory and copy or move the ZIP files there.